Our delegation of forty (40) lawyers and guests from Texas arrived in the People’s Republic of China not knowing what to expect. We were excited about the prospect of being allowed to enter and learn about a country, which had been restricted in the past. 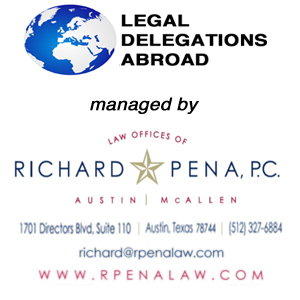 The goals of the delegation upon leaving the United States were: 1) to experience a culture which we knew of only from what we have read and seen in the media, 2) tolearn about the Chinese legal system, if in fact there was one, and 3) to represent the lawyers of Texas, the State Bar of Texas, the United States, and the People to People Ambassador Program in a dignified manner that would bring honor and respect to our delegation. Our mission was not to attempt to impose our system of government on the Chinese, or to criticize their country. In fact, how could we understand a civilization that is 3,000 years old in such a short time? We came, instead, as Ambassadors of good will. We came in friendship and in peace. We did not come to pass judgment on a political system that self-admittedly needs improvement and change. We found that a significant aspect of today’s China is its people. Yes, they are poor, but they are generally hard working and proud. Another major aspect is the new market economy and the unlimited potential in that country. We came and what we experience was simply amazing. We accomplished our mission. In fact, on the night before our delegation departed from Beijing for the United States, at our farewell banquet at Qianmen Quanjaude Peking Duck Restaurant, I shared with our delegation the fact that they had not only accomplished their goal but had done so with flying colors. Ours was a large delegation. With any delegations, but especially with a large one, the potential is high for things to go wrong. However, our delegation was a good mixture of lawyers, judges, a Professor of Law, and other professionals and guests who all bonded and responded well to the challenges we encountered. As a group, we went through a psychological and physical cycle during our eleven days in China. Upon arriving, we were of course tired from the twelve-hour flight across the Pacific Ocean. But at the same time we were energized with anticipation. We could barely stand it. This type of anticipation, because of the circumstances and the historical component, comes along very seldom in one’s life. The cultural component of our program was outstanding, with our highlight perhaps being our delegation’s walk on the Great Wall of China. However, once the Professional Program began, both in Shanghai and Beijing, we went to work. The delegation’s psychology during the long flight was similar to a team’s anticipation and excitement before a championship game. Once the game starts, the team is focused on its mission. Such was the case with us. What we found was a China rich in history, whose culture of the past is colliding with globalization, forces of market economy and the impending entry into the World Trade Organization. The country has been going through reforms for the past decade. We were told that the new China is like a young child. When we met with representatives of the China Congress and the Minister of Justice we came away with the impression of New China, which is striving to help its people to have elective representation and to develop a civil justice system based on the Rule of Law. Were we surprised at what we found? You bet we were. Would we go back again? Yes, in a heartbeat. Do they need our help? Yes. Are they a free society? The answer to this question depends on one’s frame of reference. One thing is certain; they are much freer since the death of Mao Tse Tong in 1976 and his Cultural Revolution. When we met with representatives of the People’s Republic of China’s Congress, they told us to be patient. They were credible and sincere in their desire to help their people through democratic elections at local levels. In the New China, gone are the days of Mao. Well, that’s our story. We came, we saw, we experience, and we will forever be changed. It is sometimes hard for us to completely understand, but the world is not America. China is the third largest nation in the world in land area, it has the largest population in the world, and it has the world’s largest continuously recorded history. China is a main contender in the world area. American companies such as Coca Cola, Pepsi, Pizza Hut, and Kentucky Fried Chicken already know what we found out in our visit, that the market economy is alive and well in China. The future has unlimited prospects and China is preparing. For example, Shanghai, the economic “capital” of China, is in my opinion preparing to be the future economic capital of Asia. Its 2600 skyscrapers that have been built in the last ten years must meet artistic design standards and consequently, it is one of the most modern cities in the world. Yes, economically China reminds me of a sleeping giant that has now awoken. But in the end, what I will remember most about China is its people. They are not materially wealthy. In fact, many live in conditions that we would denounce as unacceptable. Yet, they have a great respect for their traditions and family. Their respect for the human spirit and their enduring quality of human nature must be admired. The vast majority of people are trying to live out their lives the best they can. They make a tiny fraction of the income we make but there they are on their bicycles in the rain and in the cold going to work. When I feel down these days, I reflect on these people of China and how they persevere. I reflect on their inner focus and serenity. They are aware of their adversity, but they are not frantic. They are different than us, yet at the same time they are very similar. It is heartening that in spite of the conditions in which they live, they are trying.